Fishermans Wharf is a great spot to hang out and explore while visiting San Francisco. 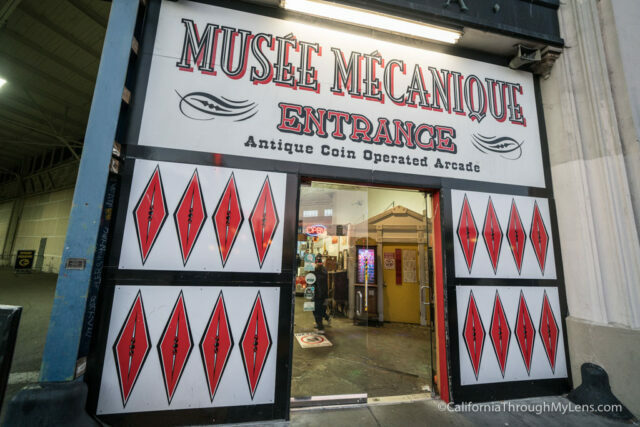 I can often be found in the Boudin or walking the streets looking for the best cioppino, but on a recent trip I stumbled into the Musee Mécanique, and my future trips to the area will never be the same. 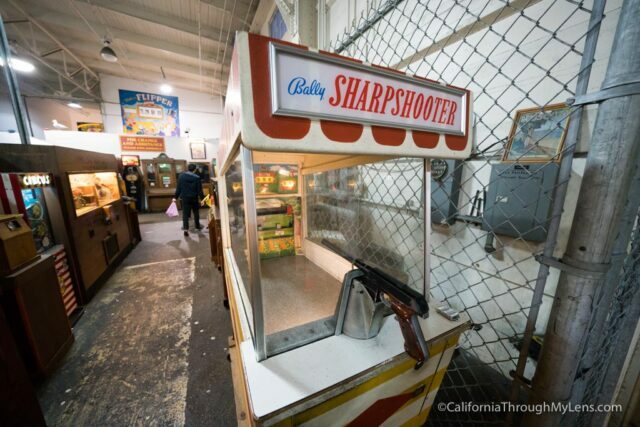 Musee Mécanique is a collection of over 50 old quarter machines that do everything from making a fake chicken dance to letting you shoot a little gun at targets. 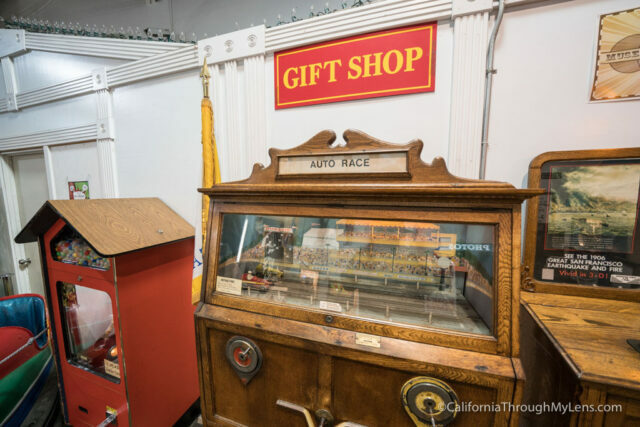 These historic devices are a ton of fun to see, and most of them only cost a quarter so the whole family can have a good time for cheap here. Read on for all the information. Machine range from a quarter to a dollar. In San Francisco, I always recommend public transportation. You can even ride the cable cars down to the Fisherman’s Wharf area if you want. If you do drive, there is a large parking lot right across the street next to the Boudin, but it can be expensive. 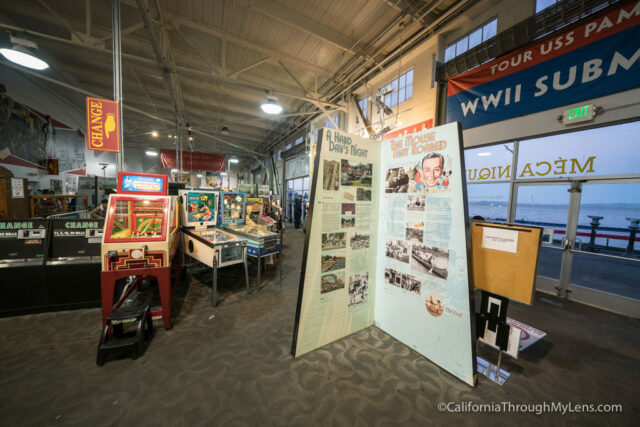 Upon entering the large building, you will see arcade machines lining both walls. I recommend heading to the change machine first and turning your dollars into a few handfuls of quarters. 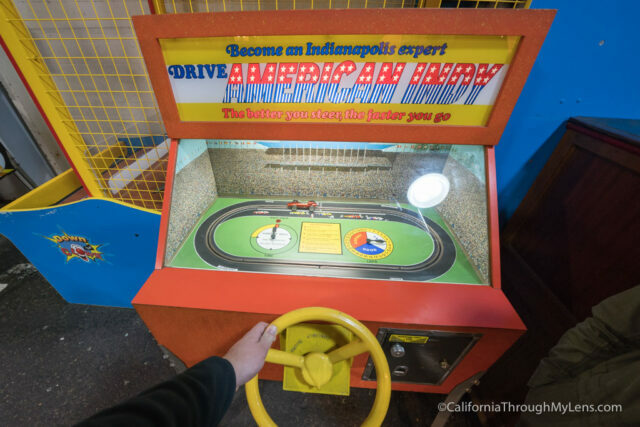 From there you will just want to explore and try out a bunch of the machines. 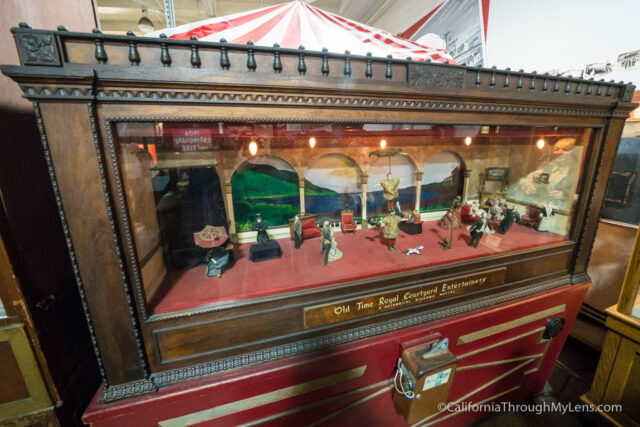 There is everything from a puppet guillotine performance to a mechanical horse and a genie that tells you your future. I can’t stress how many of these awesome machines they have here. 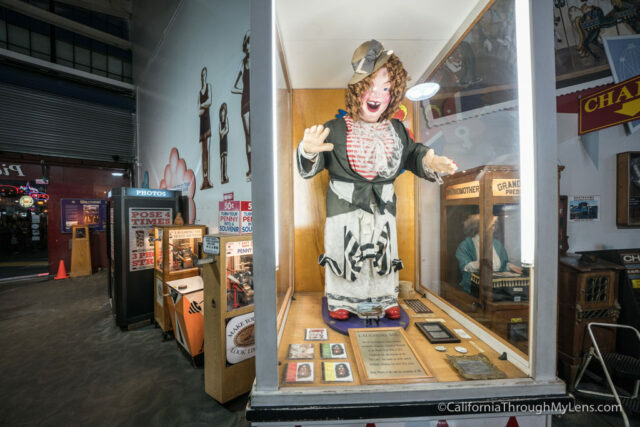 The one that seems to be one of the most popular is laughing Sal, which has a sign that says “One of San Francisco’s most nostalgic landmarks, originally located at Playland at the Beach from 1940 to 1972… it has made us smile and/or terrified children for over fifty years.” I have to admit I was creeped out by this massive animatronic woman laughing at me, but it was still fun to see. As you can no doubt tell, I loved exploring this spot. 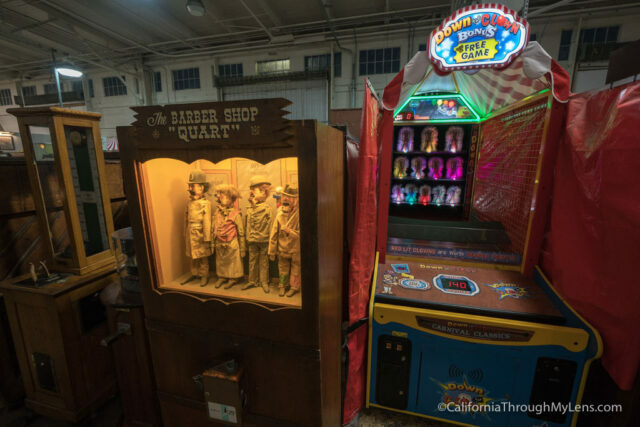 If you grew up with these machines, I am sure you will be excited to see them again, but for the younger kids in the audience, grab some quarters and see what these fun devices have in store for you.